The shaped sterling silver band of this ring is sleek and flattering on the finger - it's comfortable to wear. 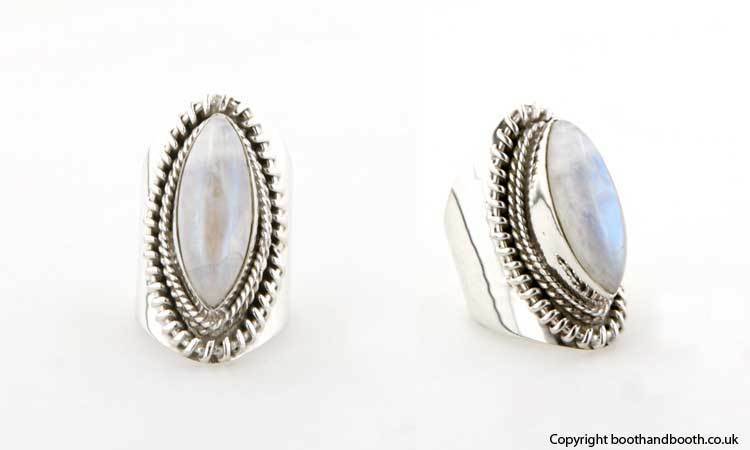 The marquise shaped moonstone makes its chunkiness elegant. The hand made beading round the stone gives it an ethnic character. 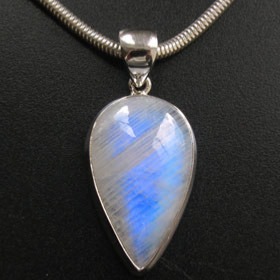 Rainbow moonstone has a characteristic schiller - a floating blue light through the stone - and is considered sacred in India. 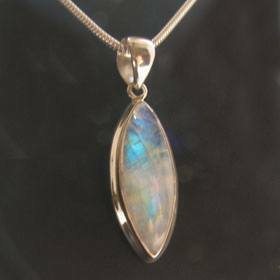 Treat someone you love to some moonstone jewellery! 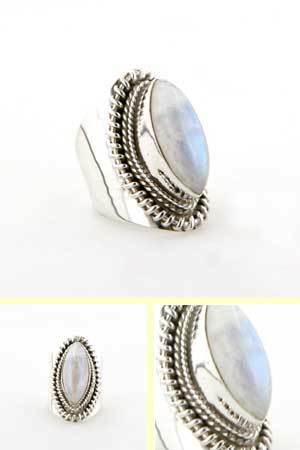 Choose your size for this moonstone silver ring from the drop down menu. We give the UK sizes and the equivalent USA.